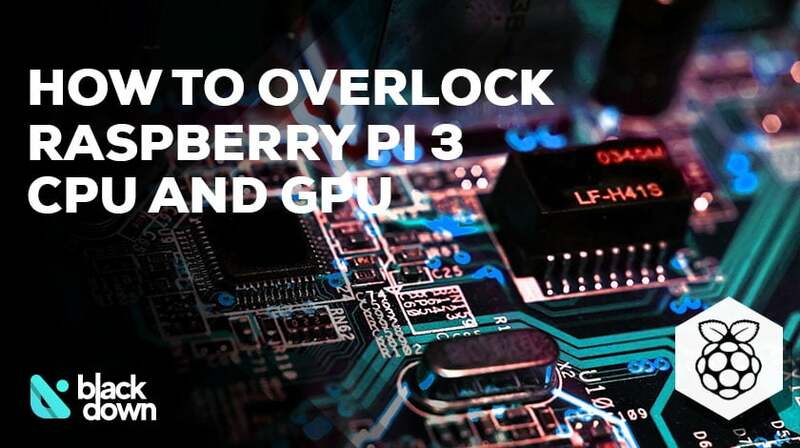 If you are a performance freak, it is only understandable that you are considering how to overclock Raspberry Pi 3. The main idea is to improve performance while ensuring optimal stability. Take a look at our tutorial if you want to find out more about how the process works. The purpose of overclocking is to boost CPU speed to the maximum available value. By default, the CPU will implement scaling, but overclocking can force it to ignore that. As a result, you can enhance performance and reduce lag issues by using the maximum potential of the CPU by default. Please note that you will need an adequate supply of power for overclocking. We would recommend going with at least 2.5Amps. Additionally, keep in mind that there are supplies specifically made for Raspberry Pi 3. Keep in mind that you will void your Raspberry Pi3 warranty as soon as you do this. The reason why you are adding the boot delay is to reduce the chances of corrupting your SD card when running the turbo mode. The above is the simplest and safest way to maximize the performance of your CPU. If you ask us, you can keep things completely safe as long as your “core_freq” remains below 400, and “arm_freq” under 1200. However, if you have expert knowledge and are in the mood to experiment, you can further enhance the performance of your CPU. Raspberry Pi 3 allows you to set the GPU memory, and it is a way to regulate how you want to split the memory between GPU and CPU. You always set the value of GPU memory in megabytes. The value has to be at least 16. If you use a desktop environment, plan to watch videos or play games, you should use at least 256MB of memory on GPU. Temp_limit – a temperature restriction that offers protection against overheating. Sdram_freq – you can use this function to adjust the SD-RAM It is always in Mhz. Initial_turbo – start turbo mode from the boot until cpufreq has a frequency or for the set value from 0 to 60 seconds. Sdram_freq_min – when dynamic clocking, you can set the minimum value of the SD-RAM frequency. You can use the same “min” suffix for GPU and ARM frequencies. It is crucial to emphasize that you need to be extremely careful when trying to overclock Raspberry Pi 3. The moment you start overclocking it, it will void your warranty. That is why you need to be cautious and make sure to double-check everything so that you do not do anything wrong. On the plus side, enhanced performance of the CPU is worth it, which is why you can consider giving it a shot. Debian VS Ubuntu – Which One Should You Pick? Which Is the Best Linux Distro to Install in 2019?